Seventy percent of people have impostor syndrome. While an interesting stat, that doesn't really help people who have impostor syndrome get over it. It is estimated that 70% of people suffer from Impostor Syndrome. Today I have 12 strategies to help overcome Impostor syndrome. Fun fact, in researching this impostor and imposter are both considered acceptable spellings. I had a niece who for a while started to dress in a “Goth” style. The idea was she didn't want to look like everyone else. The problem was, “Goth” started to be cool. Soon, everybody started dressing Goth, and the result of “standing out” no longer was a byproduct of dressing Goth. If you are sitting there thinking, “I could never be like _____,” guess what? That person is sitting there thinking the same thing too. The only thing that separates you from anyone else in the world is time and effort. Anything that anyone else can do, you can do. It’s impossible to feel like an impostor once you accept that everyone else is an impostor too. You are either crippled by fear which leads you to procrastinate. The second possibility is you are driven by fear of failure and you overwork. When you complete the task it may bring temporary relief. However, when it is time to evaluate performance, limiting beliefs associated with Impostor Syndrome may arise: If procrastination led to a successful outcome, then success is considered a fluke (“I was lucky things worked out in the end!”). If over-preparation led to success, then it reinforces the belief that working extra hard is needed, otherwise, there is no chance of success (“I’m not good at this. I just worked really hard.”). Thus, successful outcomes do not bring satisfaction. It only increases self-doubt, worry, and anxiety, with the thought that when either “luck” or “excessive hard work” wears off, they will finally be exposed as the incompetent fraud that they really are. And then, the cycle repeats itself. 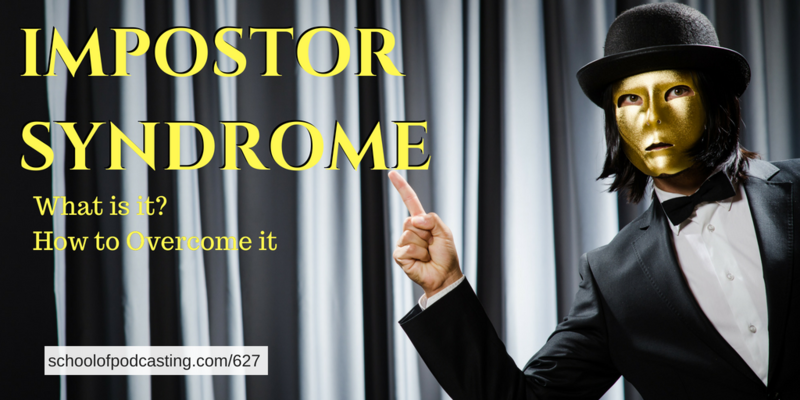 See The Impostor Syndrome Remedy by Dr E V Estacio. You have had some successes in the past. You've done hard things in the past. Think of the hardest thing you have to overcome. You did it. You're still here. Don't ignore your successes. DO NOT compare yourself to THAT person. There are always people “better” than you and people worse. You are never as good as your best review or as bad as your worst. You are not defined by your mistakes. The “I must not fail mentality” can be crippling. Not everyone will like you, and that is OK. Credentials don't always mean what you think they do. Yes, there is luck and timing, but there is also talent, dedication, and charisma. While your feelings are real, this does not mean they are accurate. Quit focusing on you, and instead focus on your audience and how you will deliver value. I do not have children, but I know many people who do and in some cases, they got pregnant before “they were ready.” Some got pregnant when the thought they were ready, but found out later they were nowhere near ready. Yet, their kids are fine. You’re never going to be ready. Act anyway. Acting before you are ready is like a penicillin shot for Impostor Syndrome. It helps you build up immunity against the Syndrome. The more you act before you’re ready, the more you’ll realize that you’re never really ready for anything. But neither is anyone else. Maybe you are trying the new Keto diet. You see a keto recipe for Chocolate Chip Cookies. It looks good. You see the ingredients and you have them. There is only one way to know if this recipe tastes good. You have to make the recipe. The only way to really see something is to do it. You have to experience it. Reading about other people’s failures and successes only go so far. Sooner or later you have to start succeeding and failing first-first hand. You do NOT need to know everything. You probably have more than enough knowledge to get going. Instead of saying, “I don't know enough,” say “I don't know everything but I will use what I know to learn more as I go.” With that said, know this: Don't use soundlcoud.com, anchor.fm, squarespace.com (for a media host), or a Blue Yeti (there are better, less expensive options). “I will be embarrassed.” To this, I say nobody is listening to your show when you first start out. The odds of running into someone you are not related to that has actually heard your show are minimal. When I looked up the definition of embarrassed it said to be disconcerted. When I looked up disconcerted it said “ruffled.” I hear to get don't get ruffled. I have said things in my podcasts that I'm really surprised did not have negative side effects, but they didn't. I leave near an amusement park called Cedar Point. It has tons of super spooky roller coasters. Some people refuse to get on them as they are often the tallest, fastest, spookiest coaster in the US if not the world. To ride these, you have to stand in line. This is often a long line. Some people get bored and leave the line. Other tough it out, and they get on the ride, strap themselves in and after waiting an hour (or more) in line, the ride lasts 30 seconds and you get off the ride thinking, “It was OK.” You make a mental note, and you know to the only ride that ride if the line is short. Just because you failed, doesn’t mean that you are a fraud. It only means that you are willing to do something, even if it means risking failure. Another great book I read was Beyond Imposter Syndrome: Proven strategies for building confidence and finally feeling ‘good enough. What will happen if you never change? Podcasting leads to relationships which lead to opportunities. If you have a message, and a drive to reach people, you are missing at an opportunity to invest in yourself. There is NO WAY you start a podcast without learning something about yourself. Granted, one of the things you may learn is you hate podcasting, but I doubt it. 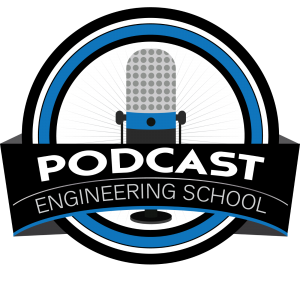 “Thanks for the follow-up and for highlighting RadioPublic in your latest episode. That's correct, right now only listens within the RadioPublic apps count toward Paid Listens. We’ll eventually include web listens down the road. The web presents some tough fraud detection problems we aren’t yet ready to address. 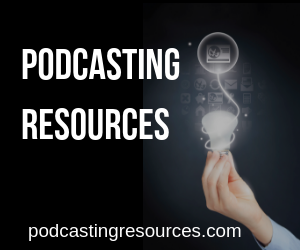 You raised a great point on being able to combine earnings across podcasters or within networks for multiple shows. I shared this with Matt MacDonald our Chief Product Officer to see what's possible. We also recently expanded the guidelines of the program for shows to have their own sponsorships and still participate. The language on the site will likely be updated in the coming weeks but for now I at least wanted to pass along the update knowing there was a concern you brought up about one of your episodes including a midroll spot. Let me know if any other questions come up. Paid Listens is just the first step in our efforts to transform the podcast marketplace, making it much easier for podcasters to make money for their work. We’re currently prototyping ways for listeners to directly support the podcasters they love. Would you be interested in talking with Matt about this? We’ve updated our FAQ to address some of the questions and concerns discussed during the episode. Thank you for taking such a deep dive test run and pointing these out! We also updated our “How do I get paid?” FAQ with clarification on what a podcaster can expect once their show is ready for a payout. Hopefully we’ll get the chance to meet in a couple weeks at Podcast Movement. I resemble that remark! It seems everything I have tried to do, when it involves recording my voice, getting the tech right (with lots of help from you I might add) was the easy part. I am probably in the top 1 percent of the 75% of people who suffer impostor syndrome. It was refreshing to hear those who are widely considered to be uber-successful suffering from it as well. Quite surprising. I’ve given my inner voice a name, have written down the stupid things it says to myself, and have seen exactly how ridiculous those words really are. I may be mixing comments from several episodes, but for sure, I appreciate more than you will ever know, how it helps, how we seem to be long lost twin introverts and how timely your content usually is.